We know you’re busy and the last thing you need is to come home to a dirty house. That’s why we’re offering a high quality, thorough and hassle-free home cleaning service in Phoenix, Scottsdale, Mesa, Chandler, and Tempe. We do everything with simple flat rate pricing and easy online booking. We guarantee you’ll be satisfied with our work or we’ll give you your money back! 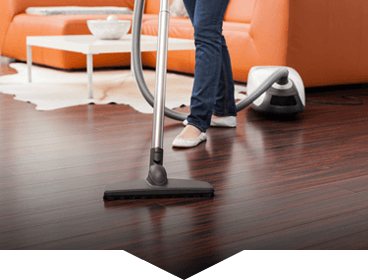 Tidy Casa is the highest rated home cleaning and maid service in the Phoenix area. We believe in being honest, on time and thorough on every job. Our core principles of being honest, on time and thorough mean you’ll love the results every time. We’re confident you’ll love the service. That’s why we’re putting our money where our mouth is with our 200% happiness guarantee. No estimates, quotes, or in-house inspections needed. Simply tell us how many rooms in your home. Select a time that fits into your schedule, book your cleaning and take the rest of the day off. Then, we do the heavy lifting and get that house looking brand new. It’s that easy! We also provide all our own products and cleaning supplies. Give us a shot and book today. 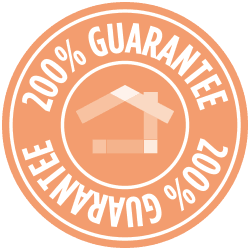 You have nothing to lose with our 200% guarantee! We wouldn’t give a 200% happiness guarantee if we didn’t think you were going to love our work. That’s why, if you aren’t satisfied enough to recommend our cleaning service to a friend. We’ll come back and do the cleaning over. If you’re still not happy with how clean your home is, we will give you a full refund, no questions asked. We are putting our money where our mouth is. That’s how confident we are you’ll love our home cleaning service! You’re a busy person. That’s why we’ve built our home cleaning service around saving you time. That means no in-home estimates, no haggling, and no stress. Our online booking system lets you book and manage your home cleaning appointments online, even on your mobile phone. Simply visit our booking page, give us your address, select a time and you’re all set! It’s that easy. In less than 60 seconds your appointment is booked and home cleaning is off your chore list. Once your appointment has been booked you can manage your cleaning appointments through our website or mobile apps. Finding great home cleaning teams can be a pain! Trust us we know. Unlike other services, all of our cleaning teams go through a rigorous hiring process. Our hiring process involves an online questionnaire, phone interview, in-person interview, demo cleaning, and complete background check. Using this process we go through on average 112.2 applicants before we make one hire. That means we’re only sending the most qualified, trustworthy, and thorough home cleaners to your home. Tidy Casa is fully bonded and insured. That means your home and property are always safe with us. On top of that, our core principle of being honest means if something goes wrong, you’ll be the first to know. We don’t mess up often but if we do, we believe in being honest and upfront. We’re dedicated to taking care of you. That means we’ll take ownership and do everything in our power to make things right. Our customers have given us 5-stars across the board because of our 3 core values. We believe in being honest, on time and thorough on every home cleaning. We believe in always being honest. That means if we break something while we’re at your home, we’ll make sure you know first and replace or repair whatever it was we broke. If you’re anything like us, you live and die by your calendar. We know your time is important to you. Being late to an appointment can throw off the entire rest of the day, and who has time for that? That’s why Tidy Casa gives short arrival windows and sticks to them! If we do run into traffic or have another issue that makes us late. We’ll call you right away and give you an update so you’re never waiting around for us. If you’ve ever lived with a roommate you know that everyone has a different idea of what “clean” means. Because of this thoroughness and attention to detail are paramount to delivering our 5-star service. That’s why we clean up to the highest standard on every job, every time. If we ever don’t live up to any of or core principles, give us a call! As part of our 200% happiness guarantee, we’re always more than happy to do everything in our power to make it right.